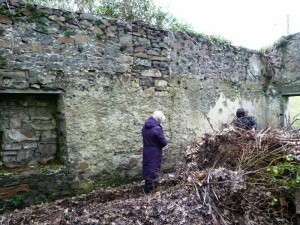 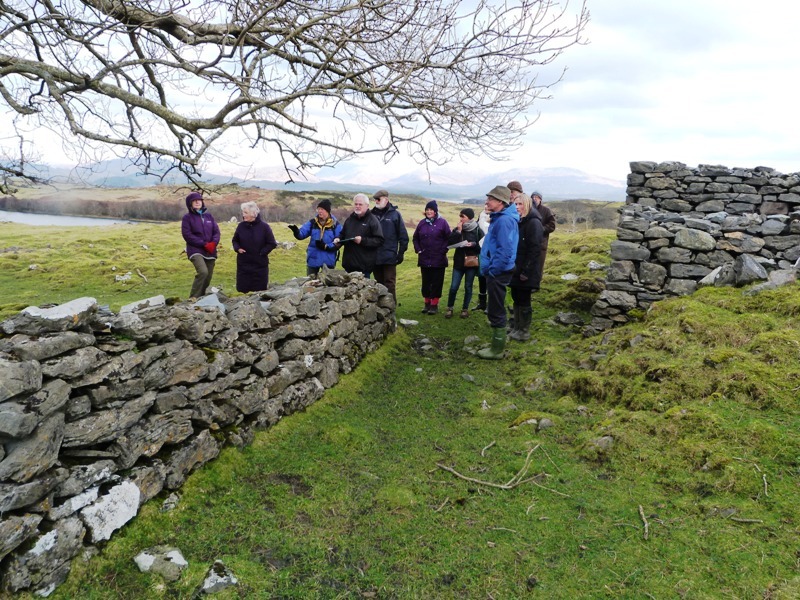 The Heritage Centre’s second archaeological walkover took place at Killandrist in February. 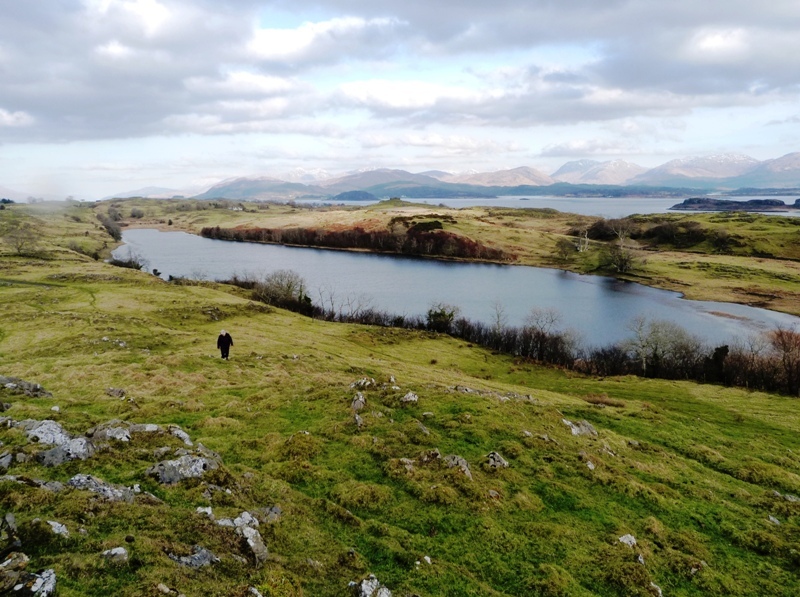 This area has early Christian connotations: its name meaning St Andrew’s Chapel. 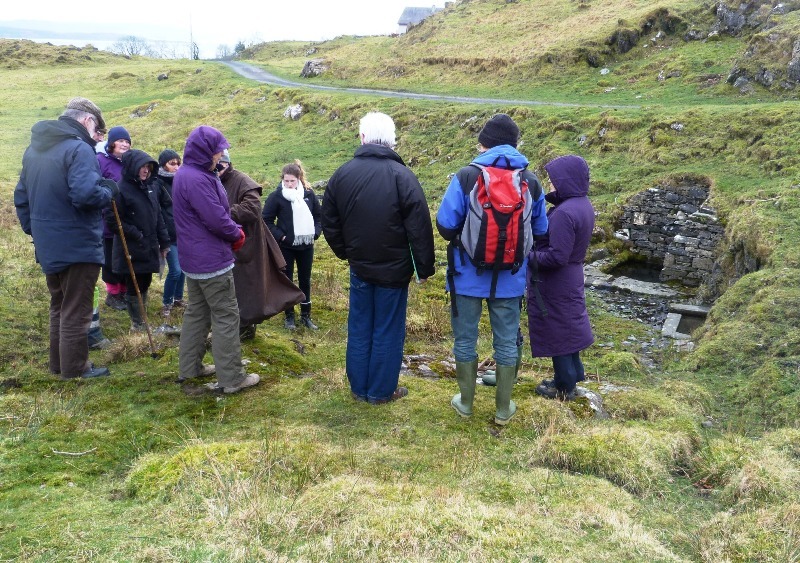 We admired and recorded for our inventory the abundant natural spring known as St Andrew’s Well, which has a masonry surround, but although several of us searched, we could see no trace of the chapel; not surprising as it would probably now have been about 1,400 years old! However, we were able to enjoy looking at another major site: the shell of Samuel MacColl’s school, a parish school that served the middle of the island in the 19th century. 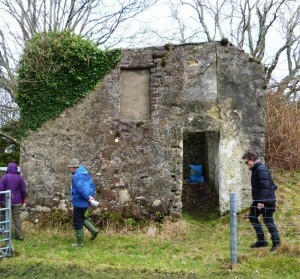 Alexander Carmichael, one of Lismore’s most celebrated sons, was a scholar here, and we also saw and photographed the remains of his family house nearby. 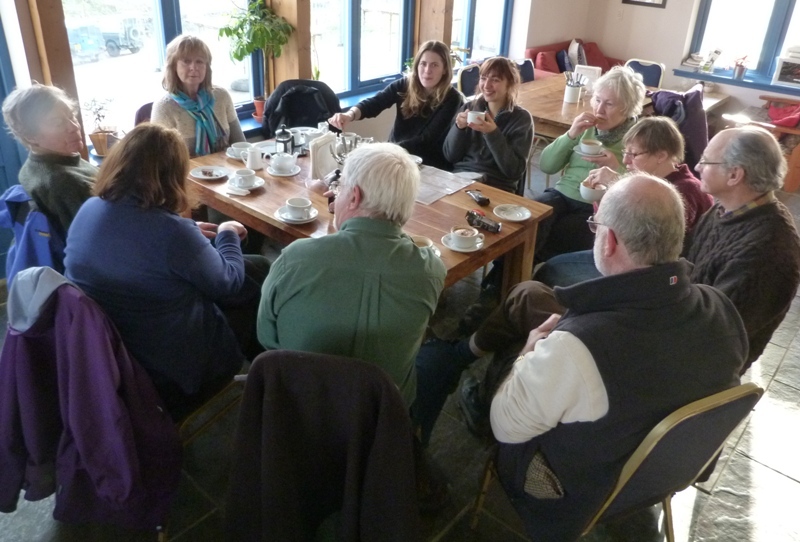 A dozen Liosachs took part in the visit, many able to contribute local knowledge. 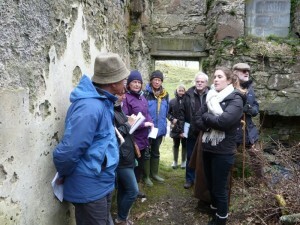 Our final visit for this winter will be at Baleveolan next month.